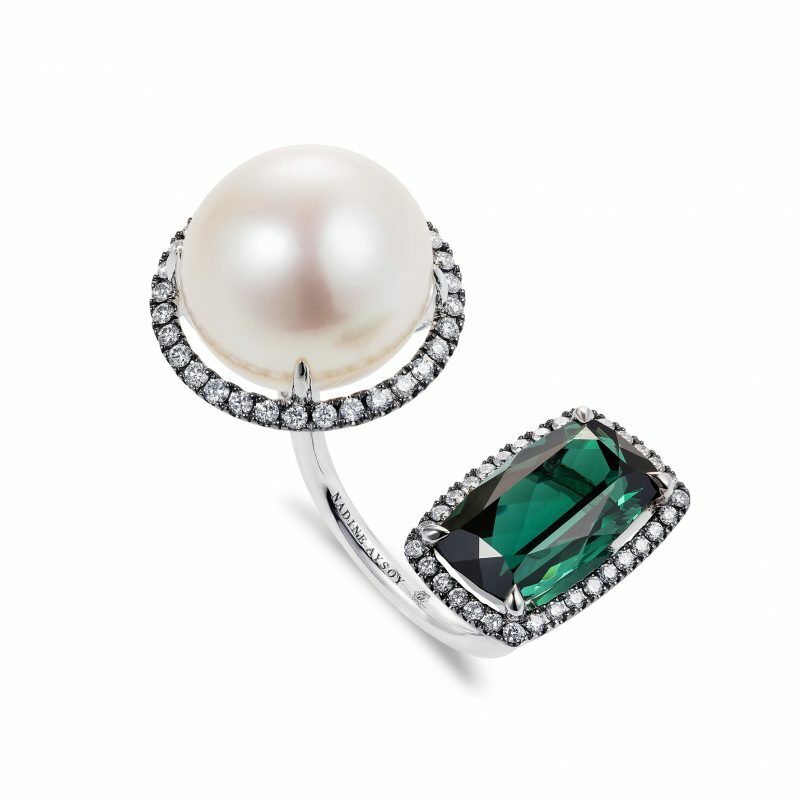 The Elle et Lui Green Tourmaline Ring is a between the finger ring in 18ct white gold, with a single green tourmaline and a white south sea pearl, decorated with 64 white round cut diamonds. 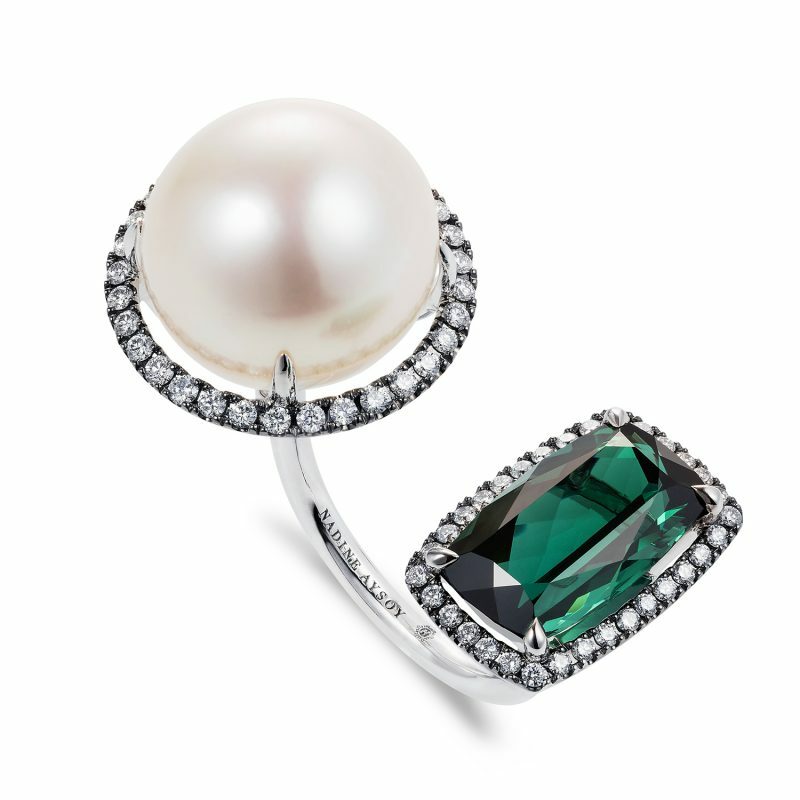 The ring is partly covered with black rhodium. 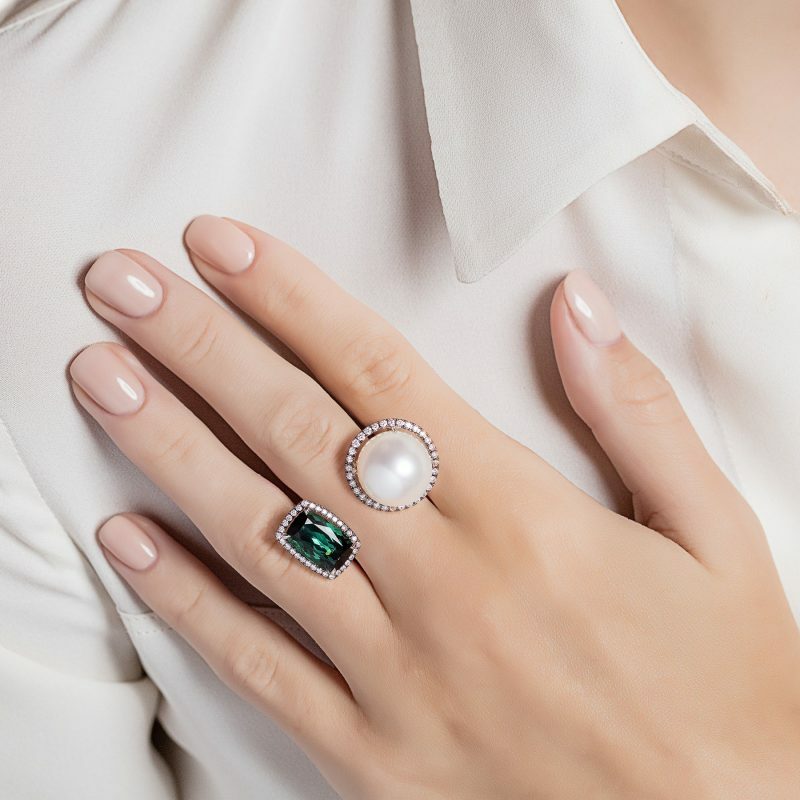 Part of the Elle et Lui collection by Nadine Aysoy, symbolising the interaction of extremes – men and women – which forms the basis for the concept of yin and yang, and is here narrated through the language of jewellery.